Born of a forbidden, mixed-blood litter and an outcast after her mother is exiled, spirited young she-wolf Kaala is grudgingly permitted to join the Swift River wolf pack where she must fight to prove herself and survive against the odds. But when Kaala rescues a human child from drowning, she breaks the first and oldest tenet of the promise of the wolves -- never consort with humans-- and sets in train a series of events that threatens the very survival of her species. As war looms between wolf and humankind, Kaala discovers the truth behind the promise of the wolves: a discovery which could lead to her death and the destruction of all she holds dear. 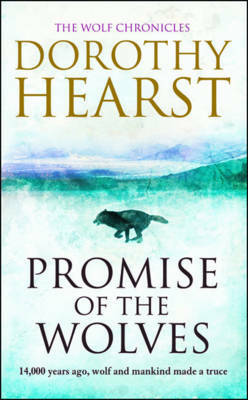 Set 14,000 years ago in what is now southern Europe, Promise of the Wolvesis the first in a spellbinding trilogy which takes readers on an epic journey into the rich and fascinating world of the wolf.